I have been working on a joint project installation titled Tactile Impressions along with artist Forest Keegel. 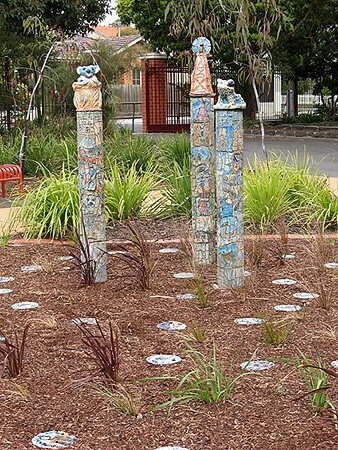 It is for an All Abilities Playground in Harmony Park Coburg that was funded by Arts Victoria and the Moreland Councii. The art project has been community driven and developed with members of the Friends of Harmony Park group in consultation with the Coburg North Primary School and the Coburg Special Development School with artistic guidance from Forest.Together we created a sculptural installation made up of inter-related components reminiscent of remnants of dinosaur skeletons. 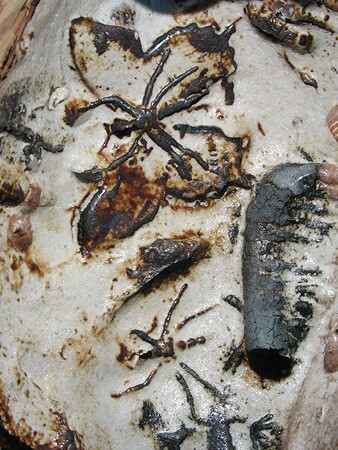 The surface of the sculptural forms have been textured by making impressions using leaves, sticks, bones and models of insects. You can view the final outcome at Harmony Park 185-195 Gaffney Street Coburg. 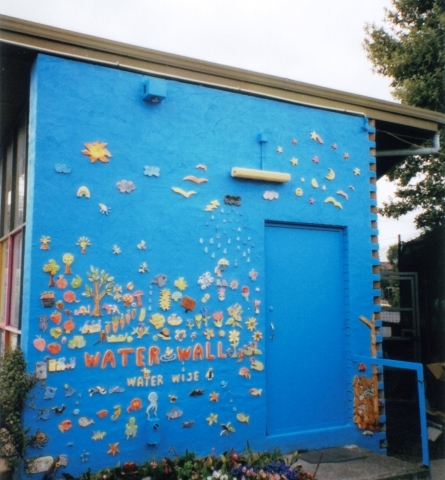 I was commissioned by South East Water in 2005 to make a ceramic wall mural at the Veg Out gardens along with artist Salvator Lolicato and community members. 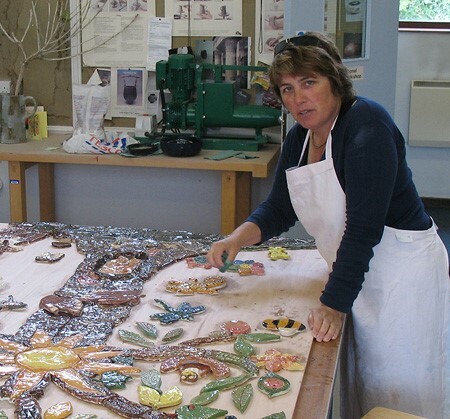 The event was for the launch of Water Week and many people of all ages took part making tiles using imagery inspired by the Water Wise message. 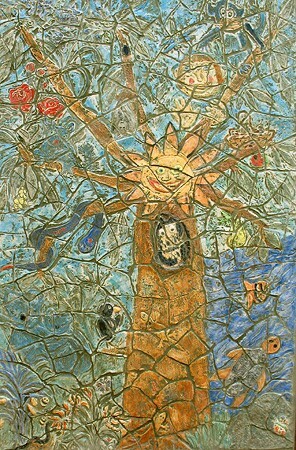 The resulting colorful mural is enjoyed by many and is educational in content even including a desalination plant.